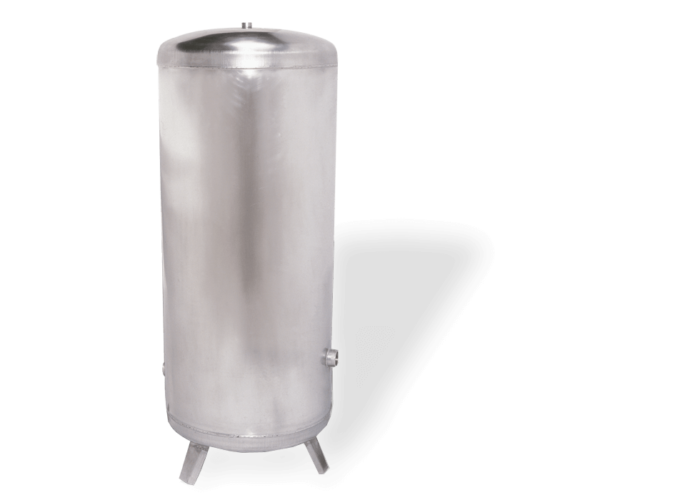 CH water pressure tanks (with water volumes of 90 to 300 litres) are engineered to collect drinking water for domestic household and other premises (hotels, restaurants) where larger quantities of such water under particular pressure is needed. They are also used to meet the need for water supply and storage in industry processing. They are made of stainless steel and constructed using the latest technologies, guaranteeing high hygienic standards, as well as reliability, safe operation and a long life for the unit. It meets high hygiene conditions, reliability in operation and long service life. Pre-assembled inner threaded connectors for all the necessary equipment. Has all the necessary certificates. 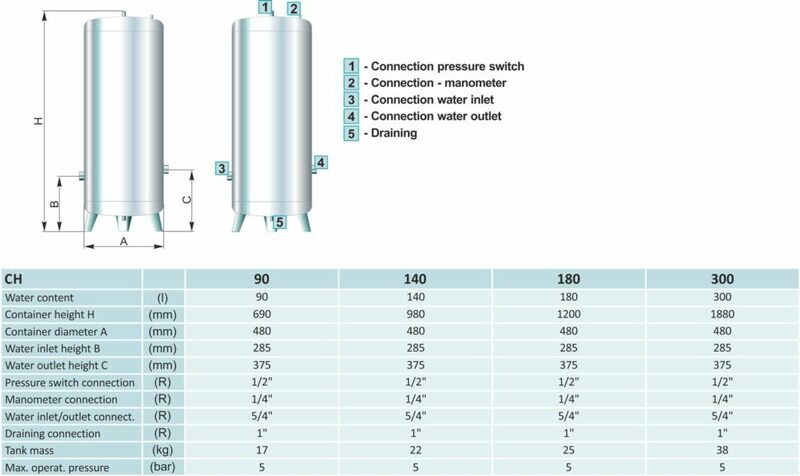 Water content: 90, 140, 180 or 300 litres. Max. operating pressure: 5 bar. Prepared connections for all necessary equipment. Produced in accordance with ISO 9001. All necessary certificates are available. Centrometal d.o.o. shall not be responsible for possible incorrect data caused by error made in transcription and all figures and diagrams are for explanatory purposes only and relevant adjustment have to be made at the spot. In any case, it reserves the right to modify its products as deemed to be required and useful without any prior notification.